(765) 494-6291, newstudent@purdue.edu or online. Spend a day visiting us and experience Purdue. The College of Liberal Arts Future Student Office schedules personalized visits for students interested in meeting with academic professionals, touring facilities, sitting in on courses, and meeting/shadowing current Liberal Arts students. Reservations should be made at least 5 working days in advance of your visit. Visiting Purdue on a workday during an academic session is always best - Purdue's Academic Calendar. Contact us with any questions: Liberal Arts Future Student Office. If you are interested in graduate school, please contact the Purdue Graduate School of the College of Liberal Arts. The Office of Admissions at Purdue University, West Lafayette, offers student event programs and daily campus tours/informational sessions. To schedule a general campus visit, contact Admissions at: (765) 494-1776, or admissions@purdue.edu or register online. You are encourged to make a reservation in advance. Welcome to West Lafayette, IN - Home of your BIG10 Conference Boilermakers. 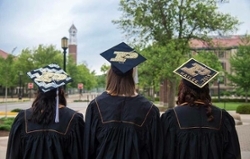 Here are some helpful travel tips from Purdue's Admissions Office for visiting our campus. Don't forget: Purdue-West Lafayette, Indiana, is on Eastern time (same time as New York) throughout the year. We encourage you to also visit Purdue's Welcome Center. Can't make it to campus right away? Purdue's Virtual Campus Tour is a great way to visit us online.